For two years, the body shop Savio in Turin has been building the Jungla, a cute little terrain, beach and holiday car, using the engine and suspension of the Fiat 600 D. The car costs about as much as a Fiat 850 Coupé. 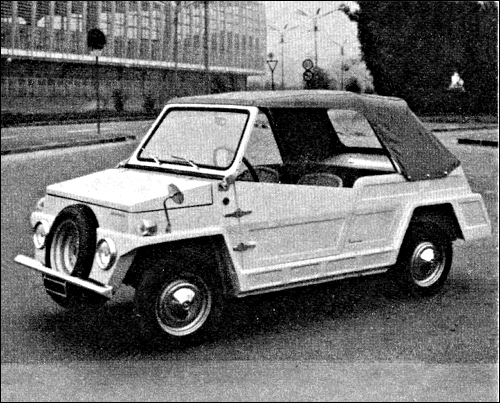 Following success of the Jungla Savio introduced a new 'off-roader' Albarella featuring wicker seats and a nose-mounted spare-wheel. It is based on the mechanics of the Fiat 500, have a total length of only 3000mm and weighs 490kg. 2+2 Coupé based on Fiat 124 featuring a Nardi steering-wheel, alloy wheels by Fergat and a revcounter.